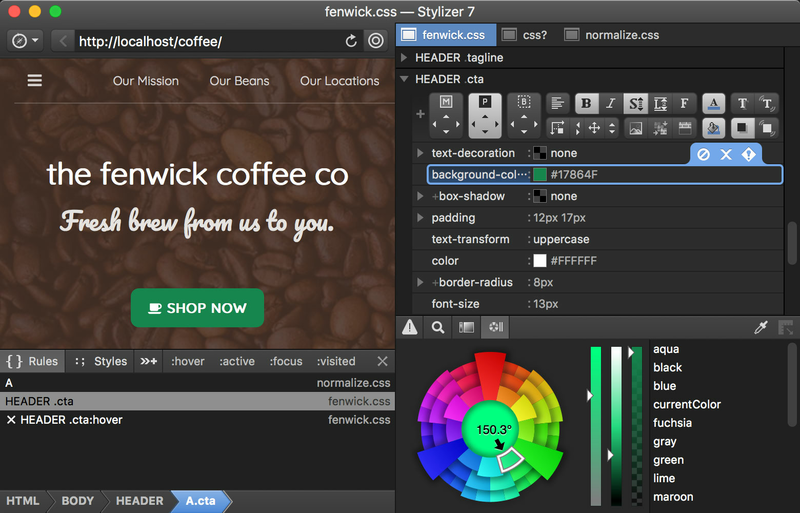 Stylizer helps you style websites in a fraction of the time. Download now and try it free. For Windows & Mac. Installs in seconds. Smooth first run experience. Bullseye transforms your workflow into an efficient process of point, click, and code. Your style sheets open automatically and your changes appear instantly—as you type, click, or drag the mouse. Side-by-side preview panes make responsive cross-browser design a breeze.